On this day, the Bulgarian people pay tribute to all the historical figures living on our lands, who are canonized for saints. The second Sunday after Pentecost is dedicated by the Bulgarian Church of All Saints. Today is the day of all Bulgarian saints - the newest, mobile holiday in the Bulgarian church calendar. On this day, the Bulgarian people pay tribute to all the historical figures living on our lands, who are canonized for saints. They were distinguished by godly life, professed Christianity, and were devoted to the Holy Orthodoxy. They were people of faith and spirit, and each with his deeds strengthened the bond between church, nation, and state. The Bulgarian saints represent our national destiny because every period of our free-coming history has its martyrs. The Day of All Bulgarian Saints is a unique holiday. The first liturgy for the feast was celebrated by Patriarch Kirill in the Church of the Holy See in 1954. This is one of the first major initiatives of the Bulgarian Patriarchate, which restored its patriarchal dignity only one year earlier - on May 10, 1953. The canonized Saints Bulgarians are 104. 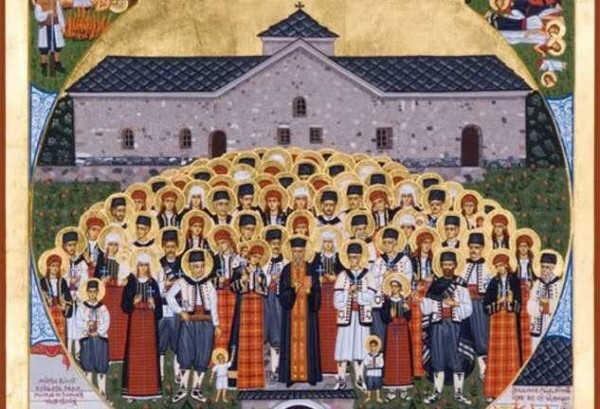 Among them there are 12 Bulgarian Patriarchs, three wars, eighty-seven canonized martyrs. The first martyr of the Bulgarian Church of Bulgarian origin is the son of Khan Omurtag - Boyan Evanovata. He was killed by order of his brother Khan Malamir in the 1930s because he refused to deny Christianity. Prior to the execution of St. Enevotha, Boyan said the words, "The faith I now die for will spread throughout the land of Bulgaria ...". Among the saints we honor today are St. Cyril and Methodius. Canonized for saints are also their disciples who spread Christ's word and Orthodox culture among our people. In the Gallery of Bulgarian Holiness there is no lack of the images of bishops such as St. Kliment Ohridski, Ilarion Maglenski, Patriarch Evtimii who heroically defends Tarnovgrad from the Asian hordes, Sofronius Vrachanski, who enlightens Bulgarians in times of chaos and error. Many saints-monks are also included. Their lineage is governed by the all-Bulgarian protector St. Ivan Rilski miracle worker who founded the largest and most beautiful monastery in the Balkans. His spiritual followers are the three hermits in the Macedonian lands, Gabriel Lesnovski, Prochor Pshinski, Joakim Osogovski, also St. Petka Tarnovska, the Hesychasts Theodosius of Tarnovski, Romulus Vidinski. A colorful saint is St. Dimitar from the village of Basarbovo, who lived in the 17th century. This year in the Cathedral St. Alexander Nevski Cathedral by Patriarch Maxim were canonized for the saints Bulgarians killed in 1876 at the temple in Batak and in the Novoselski Trinity Monastery in Apriltsi. They will, however, be worshiped as the Council of the Battle Martyrs - on May 17, and the Council of New Martyrs from Novo Selo - on 9 May. Today's day is celebrated: Asen, Asenka, Asparuh, Asya, Desislava, Desislav, Desina, Krum, Kamen, Kamena, Kremena, Panayot, Roumen, Rumyana, Chavdar. Be healthy and happy and let your names be mentioned only with good!